To note, while I acknowledge that racial passing—to include white-to-Black 'passing'— isn’t a new concept, and recognize that the politics of race may be a socially constructed idea and that Black identity is multi-layered and, at times, complicated, it doesn't negate the fact that race plays a huge part in structural inequality, in the way policies are enacted and resources are distributed, and isn’t entirely irrelevant. Blackness as culture has merit and history in this country. It's a thread that's much more meaningful than a white person being able to convincingly mimic a look or affectation. As much as we don't want Race to matter and prefer to write it off as a social construct, the reality is, institutionally, it isn't. As an obviously Black-American woman, born of two Black-American parents, and who is susceptible to systemic racism, microaggressions, and misogynoir, I believe the conversations and rationalizations swirling around Rachel Dolezal and Blackness have been insincere. The commentary regarding the pliability of Blackness and accessibility to 'Black cool' always seem to be up for debate when it’s centered on a White person (usually a woman), because as usual, Whiteness gets to dictate the rules when it comes to the Black lived experience, and always when it suits White people's needs. 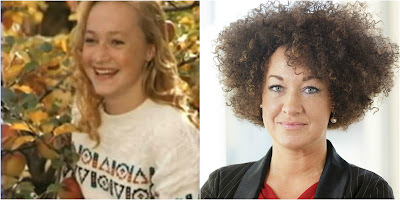 And living life in costume, performing as a biracial woman with a Black faux-parent seemed to suit Rachel Dolezal—a histrionic woman who has a strained relationship with her family—really well; because after graduating from Howard University (where she still identified as White and sued the school for anti-White discrimination), Rachel reinvented herself, infiltrated influential Black social circles and accessed opportunities not made readily available to qualified Black women, especially those who are darker-skinned. Before the proverbial 3C texture wig was snatched off of her head and she was publicly exposed by the media, and then her actual parents (who confirmed her heritage as Czech, German and Swedish with faint traces of Native American ancestry), she made a living taking up a lot of space, offering first-hand accounts about experiences that weren't hers to relay. 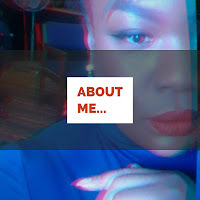 Rachel positioned herself as THE authority on Blackness and about Black womanhood, presenting dispassionate class lectures on the politics of Black hair and Colorism, offering interviews about life as a Black woman, and working as an adjunct instructor of Africana studies. More flagrant were screenshots of Rachel snarking about BM/WW interracial unions, her, alleged, policing of other people’s Blackness, and questioning which activists deserve to participate in ‘Black Lives Matter’ protests. Look, we live in a country where Black women are constantly made to feel as if our lives don't matter. We're denied housing and jobs, our young girls are suspended from school at higher rates based on complexion and hair texture, we're subject to state violence and racially charged sexual and street harassment, and Black trans-women face an epidemic of violence and hate many folks can't be bothered to care about. I refuse to give credence to some co-opted, out of context version of 'transracial' and nod in understanding while some opportunistic, 'everything but the burden' White woman trivializes the Black woman experience. The paper-thin arguments that try to conflate gender identity with Rachel's dishonesty are weak justifications for transphobia. The false equivalence folks (of the ashy variety) have made between Black women wearing weaves vs Rachel's minstrelsy don't jibe either because the power dynamics of forced assimilation rooted in White Supremacist ideas and cultural appropriation/Black mimicry for shits and giggles aren't the same. 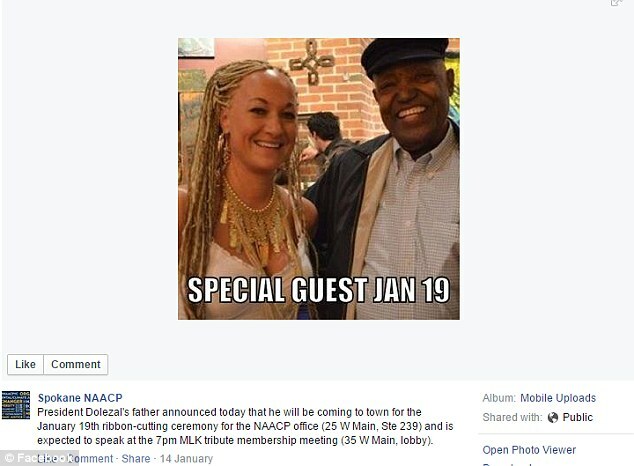 But we're supposed to just, unquestioningly, give Rachel Dolezal free country and let her be great at our expense because she's "done so much more for the Black community than any of us"? Well, so have scores of Black women, every day (whether via the academy, STEM, art, film, literature, or as thought leaders) and often to a relentless cavalcade of derision, harassment, plagiarism, colorism, and scorn. And what more has Rachel Dolezal done, exactly? Spokane's Black population isn't that large. Rachel Dolezal could have used her knowledge, privilege, and understanding of blackness and systemic racism to become a formidable White ally for social justice, sans succumbing to the ‘spicy’ allure of a blackface minstrel con job and exploiting colorism. Black womanhood is, indeed, magic, but it also comes with its share of burdens and demands. Burdens we don't ask to be saddled with; demands that often cost us our visibility and humanity. As fascinating as this story is, Rachel Dolezal defenders (many of whom have been other White people, Black men, and people who identify as biracial) and those of her colleagues who've, for years, looked the other way, don’t get to silence Black women, erase us from our own narratives and derail from the very real issues that affect us, just so a White woman can comfortably insert herself in our place like some sort of Skinwalker, and earn a living off of painful experiences that aren't hers to claim and that Black women have to constantly struggle to raise national awareness about... Particularly since unambiguous Black women can’t suddenly decide we want to ‘transracially’ become trans-white. White Supremacy and the institutional power and privilege that come with Whiteness and White womanhood simply won’t stand for it. So why should we have to?